I spent the weekend attending a Train-The-Trainer event at Microsoft UK (Thanks Ed Baker!). The event was focused on Azure and both what it was and how to teach it. A cool event which led to a lot of sharing of tips, tricks, and cool links. 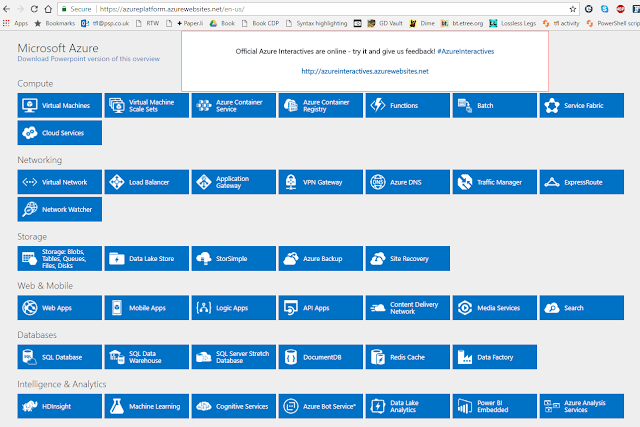 A great launching pad for discovering more about Azure.